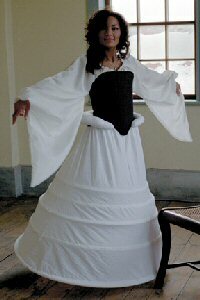 Our cotton bumroll compliments our farthinglae to create the classic conical shape of the highest Elizabethan fashion. Made from cotton. Machine wash, tumble dry.